Whitby Penny Hedge. Yorkshire England 1973. Ascension Day. 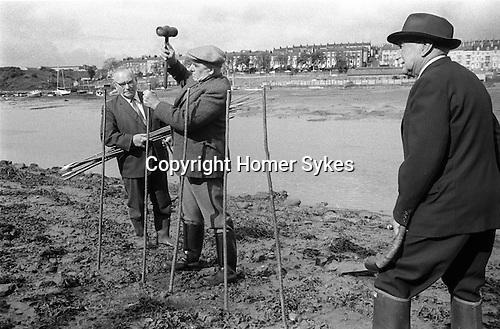 Building the Penny Hedge, probably members of Hutton and Belchamber family. The Horn blower, horn in hand foreground.